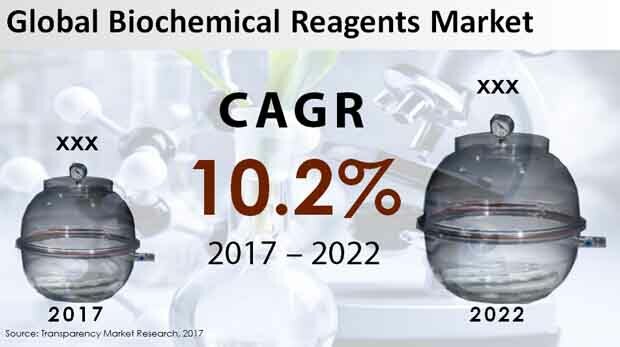 The global biochemical reagents market is projected to be positively impacted by mushrooming research and development activities, increasing awareness among patients, and surging prevalence of cancer and neurological, cardiovascular, and infectious diseases. The market could fuel its growth in quick time with the development of technologies such as deoxyribonucleic acid (DNA) biochips and sequencing and polymerase chain sequencing (PCR). These technologies greatly rely on sensitive biochemical reagents.